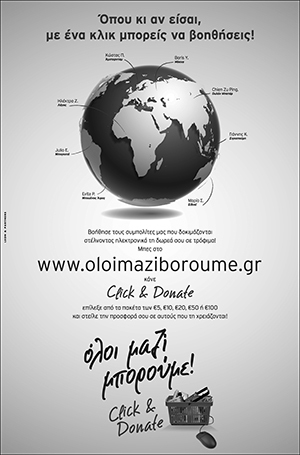 Greek National Tourism Organization (GNTO) office in New York pushes online and off-line communication strategy. The Greek National Tourist Organization (GNTO) is expecting a record-breaking number of 20 million visitors to Greece in 2014 as a result of its online and off-line communication strategy. Most recently this strategy has included a three-part series of successful interactive webinar series. The U.S. travel industry has received the webinars enthusiastically. More than 1600 travel agents and consumers throughout the United States registered to participate in this first ever GNTO webinar series seeking more knowledge about what Greece offers visitors and to refresh their selling strategies to Greece, which is rapidly gaining ever more popularity as a favored tourist destination. Ms. Kamaterou invited U.S. travel agents to the July 15 webinar, “GREECE: SELLING CITY BREAKS AND MEETINGS & CONFERENCES”, presented by Despina Amarantidou, President of the Thessaloniki Convention Center and Partner and Managing Director of ARTION Conferences & Events. A comprehensive tour of Greece’s significant tourist destinations and activities, “GREECE: SELLING CITY BREAKS AND MEETINGS & CONFERENCES” was the last webinar of a three-part series. 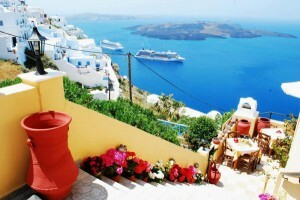 Parts One and Two of the series, “GREECE: A WORLD OF DESTINATIONS”, and “GREECE: CRUISE THE GREEK ISLES”, were presented in May and June respectively. Northstar Marketing Solutions, an affiliate of Travel Age West conducted the webinars. In an audio message that introduced all three webinars, Mr. Livadas thanked all the participating registrants and stated that Greece plans to have a record-breaking 20 million visitors in 2014 in response to GNTO’s new online marketing efforts. It was clear from Ms. Amarantidou’s presentation that visiting Greece is a multidimensional travel experience for a fabulous vacation. From picturesque and archaeological tours, eco-tourism, water sports and sailing, flying tours, and extreme sports, cruising and island-hopping, deluxe hotels, health spas at thermal and mineral springs, wine and food tasting and cooking classes, to Greek language and traditional handicraft courses, Greece has something for everyone. Ms. Amarantidou’s discussion topics were: Why meet in Greece? Facilities and spaces; City breaks and day trips; and Classic Greek activities. Her presentation took the form of a tour of Greece, which she began by describing the country’s geographic location as “the meeting point of three continents… A crossroads between the Balkans and North America”, its climate of “mild temperatures and extended periods of sunshine throughout most of the year”, and its “exceptional biodiversity”. Outlining the “easy accessibility” of Greece, she noted that the country is accessible from all continents. It has 44 airports, the main airport being the award-winning Athens International Airport, and within Greece there are direct connections to all the Greek islands from the ports of Piraeus, Rafina, and Lavrio. There are marinas and coastal development, she reported, and an up-to-date national transport infrastructure, with transportation systems–metro, train, suburban railways, buses, trolleys and trams–in the major cities. Cruising and island hopping, two timeless and beloved ways to enjoy the turquoise crystal waters and matchless beaches of Greece’s 227 inhabited islands (there are 6,000 island and islets in all throughout the Ionian and Aegean Seas) can meet with the cultural experience–archaeological sites, educational excursions, theatrical productions, festivals, pilgrimages, and museums, such as the peerless new, state-of-the-art Acropolis Museum Athens and its antiquities that make time stand still and its excavation viewing, and the Thessaloniki Archaeological Museum’s staggering gold of Macedon–for a total experience that expands the spirit and enlivens the senses. But there is more, such as Greece’s excellent venues for conferences. Greece has more conference destinations than any other country in the world, with 84 conference centers, 9 resort hotels with autonomous convention centers, 370 hotel with conference facilities, 463 conference venues, 1,963 congress halls and meeting rooms. There are also open-air venues and spaces unique to Greece. And for accommodations, impressive upgrades of first-class hotels are among Greece’s post-2004 Olympics infrastructure improvements. The major destinations for conferences in Greece are Athens, Thessaloniki and the Halkidiki peninsula, Crete, the Cyclades, Epirus (Ioannina, Metsovo), the Ionian islands, the Peloponnese (Messinia, Olympia, Nauplio), the islands of Rhodes and Kos, and Alexandroupolis, in Thrace. Ms. Amarantidou put forth Greece’s sizable list of international and national events, and involvements since 2003: the Greek EU Presidency in 2003 and 2014, the 2004 Summer Olympics, the IAFF World Cup in 2006, the Euro League Basketball Final Four, the Champions League Final in 2007, the Pan European Beach Soccer Championship 2007, the Million Dollar RoundTable European Conference, the Handball World Championships, the International Children’s Games in 2009, the 2011 Special Olympics, the Annual Athens Classic Marathon, and the World Travel Awards in August 2014. Up next was the intensive “City Breaks” section of her presentation, in which she reviewed unique city experiences in Athens, Thessaloniki, Herakleion, Patras, and in Kefalonia their exciting urban character and the variety of activities they offer. In Athens, “the historical capital of Europe” and a “modern metropolis”, she described the Pedestrian Zone of the city, in which she included the Acropolis, the Areios Pagos, the Ancient Agora, Ermou Street, as well as the museums–with details about the new Acropolis Museum–and the characteristics of Athens’ neighborhoods. Ms. Amarantidou gave ample coverage to some Day Trips to significant ancient sites that can be taken from Athens to that Delphi and the Temple of Apollo, Mycenae, and Epidavros, then outlined a “City Breaks” trip to Thessaloniki, the second largest city in Greece, the 2014 European Youth Capital, which has 15 UNESCO World Heritage Monuments and has a Byzantine, Ottoman and Jewish history. Some significant Day Trips that can be taken from Thessaloniki that she mentioned are to the Halkidiki peninsula, Vergina (where the ancient Aigai, said to be the burial site of the kings of Macedon, including Philip II, father of Alexander the Great is located), Pella–which followed Aigal as the capital of Macedon, ancient Dion, and Mt. Olympus. The next “City Break” was Herakleion, Crete’s largest city, with its Old City and port. Wonderful Day Trips from Herakleion that she mentioned are the palace at Knossos, the Archaeological Museum, the Dion Cave, believed to be the birthplace of Zeus, and the palace at Phaistos. For “City Breaks” to Patras, Ms. Amarantidou suggested going at the time of the Patrino Karnavali (Carnival), touring the Old City and the city squares. On Day Trips from Patras she suggested going to the Peloponnese, to the Bourtzi castle of Nauplion, and to Delphi, the seat of Apollo’s ancient Oracle. Moving on to Kefalonia, the largest Ionian island, for another “City Break”, she suggests visiting the Koutavos Lagoon–a nature reserve east of Argostoli (one of the busiest ports in Greece) the main town, Vallianos Square, and Katavothres as well as Day Trips from Kefalonia to other Ionian islands, Lefkada, Zakynthos-Ithaca, and Central Greece, to the Kylini Port and Olympia. Several questions came in at the end of Ms. Amarantidou’s presentation, beginning with “What are the best beaches for Day Trips from Thessaloniki?” to which she immediately replied, “Halkidiki and Sithonia [one of the three ‘fingers’ of the Halkidiki peninsula] especially, which has ‘some of the most beautiful beaches in Greece”. The next question was about the best outdoor venue sites that can accommodate a large group for a destination wedding, to which she answered, “The islands of Crete and Santorinia attract weddings and already promote such activities”, adding, “there are beautiful sites for weddings all over Greece”.The answer to a question about whether the ferries to the islands provide year-round transportation was yes, with even more ferries during the summer in order to accommodate the volume of travelers. Regarding cooking and wine-tasting opportunities for visitors to Greece, Ms. Amarantidou said. “Greece is very well-known for its gastronomy… for the Mediterranean cuisine. We are trying very hard and are more than happy to promote this type of tourism”. She noted that information on this can be sent through the GBTO office, and also applied that information to a question about the availability of horseback riding opportunities. The timely topic of whether “green” behavior requirements by organizations for conferences and other meetings in Greece can be met, Ms. Amarantidou replied “green” meetings “are not just for Greeks but for all professions all over the world. It is a new kind of conference and we are getting more organized for this in last two years. Yes, definitely, we have the experience to host any kind of conference or congress in Greece”. The gorgeous pictures of Greece that accompanied Ms. Amarantidou’s presentation are by Yannis Skoulas, Antonis Eleftherakis Photography, Haralambos Kakarouhas, Paralos Photos, and from the archives of the GNTO. 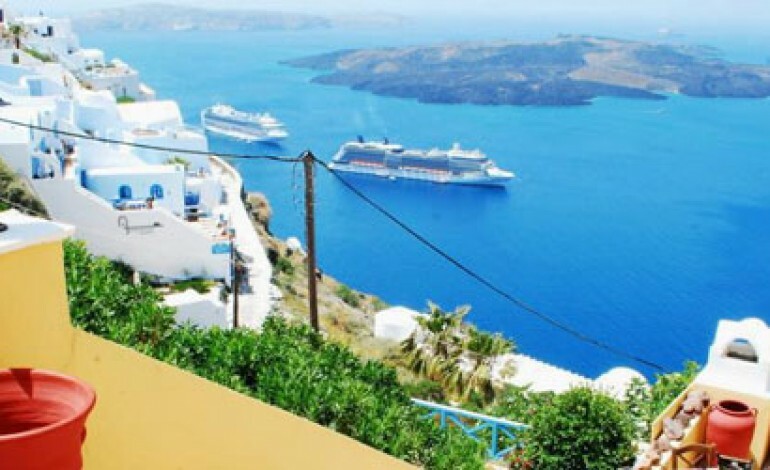 For registering to participate in the three webinars or watching them all by July 31, viewers are automatically entered in a lottery to win a trip for two to Greece. The GNTO will email the winner. If you wish to view the webinars, you can access all three at www.greeceagentwebinars.com and clicking “Attend”.